6351801 FD100 TOYOTA FD100 Diesel forklift FD series. Spare parts catalog. Service (workshop) Manual. 6351802 2FD100 TOYOTA 2FD100 Diesel forklift FD series. Spare parts catalog. Service (workshop) Manual. 6351803 3FD100 TOYOTA 3FD100 Diesel forklift FD series. Spare parts catalog. Service (workshop) Manual. 6351804 4FD100 TOYOTA 4FD100 Diesel forklift FD series. Spare parts catalog. Service (workshop) Manual. 6351805 20-2FD100 TOYOTA 20-2FD100 Diesel forklift FD series. Spare parts catalog. Service (workshop) Manual. 6351806 50-4FD100 TOYOTA 50-4FD100 Diesel forklift FD series. Spare parts catalog. Service (workshop) Manual. 6351807 2FD115 TOYOTA 2FD115 Diesel forklift FD series. Spare parts catalog. Service (workshop) Manual. 6351808 3FD115 TOYOTA 3FD115 Diesel forklift FD series. Spare parts catalog. Service (workshop) Manual. 6351809 4FD115 TOYOTA 4FD115 Diesel forklift FD series. Spare parts catalog. Service (workshop) Manual. 6351810 20-2FD115 TOYOTA 20-2FD115 Diesel forklift FD series. Spare parts catalog. Service (workshop) Manual. 6351811 50-4FD115 TOYOTA 50-4FD115 Diesel forklift FD series. Spare parts catalog. Service (workshop) Manual. 6351812 4FD120 TOYOTA 4FD120 Diesel forklift FD series. Spare parts catalog. Service (workshop) Manual. 6351813 50-4FD120 TOYOTA 50-4FD120 Diesel forklift FD series. Spare parts catalog. Service (workshop) Manual. 6351814 2FD135 TOYOTA 2FD135 Diesel forklift FD series. Spare parts catalog. Service (workshop) Manual. 6351815 3FD135 TOYOTA 3FD135 Diesel forklift FD series. Spare parts catalog. Service (workshop) Manual. 6351816 4FD135 TOYOTA 4FD135 Diesel forklift FD series. Spare parts catalog. Service (workshop) Manual. 6351817 20-2FD135 TOYOTA 20-2FD135 Diesel forklift FD series. Spare parts catalog. Service (workshop) Manual. 6351818 50-4FD135 TOYOTA 50-4FD135 Diesel forklift FD series. Spare parts catalog. Service (workshop) Manual. 6351820 2FD150 TOYOTA 2FD150 Diesel forklift FD series. Spare parts catalog. Service (workshop) Manual. 6351821 3FD150 TOYOTA 3FD150 Diesel forklift FD series. Spare parts catalog. Service (workshop) Manual. 6351822 4FD150 TOYOTA 4FD150 Diesel forklift FD series. Spare parts catalog. Service (workshop) Manual. 6351823 2FD180 TOYOTA 2FD180 Diesel forklift FD series. Spare parts catalog. Service (workshop) Manual. 6351824 3FD180 TOYOTA 3FD180 Diesel forklift FD series. Spare parts catalog. Service (workshop) Manual. 6351825 4FD180 TOYOTA 4FD180 Diesel forklift FD series. Spare parts catalog. Service (workshop) Manual. 6351826 FD200 TOYOTA FD200 Diesel forklift FD series. Spare parts catalog. Service (workshop) Manual. 6351827 2FD200 TOYOTA 2FD200 Diesel forklift FD series. Spare parts catalog. Service (workshop) Manual. 6351828 4FD200 TOYOTA 4FD200 Diesel forklift FD series. Spare parts catalog. Service (workshop) Manual. 6351829 FD220 TOYOTA FD220 Diesel forklift FD series. Spare parts catalog. Service (workshop) Manual. 6351830 4FD230 TOYOTA 4FD230 Diesel forklift FD series. Spare parts catalog. Service (workshop) Manual. 6351831 FD240 TOYOTA FD240 Diesel forklift FD series. Spare parts catalog. Service (workshop) Manual. 6351832 4FD240 TOYOTA 4FD240 Diesel forklift FD series. Spare parts catalog. Service (workshop) Manual. 6351833 FD250 TOYOTA FD250 Diesel forklift FD series. Spare parts catalog. Service (workshop) Manual. 6351834 4FD280 TOYOTA 4FD280 Diesel forklift FD series. Spare parts catalog. Service (workshop) Manual. 6351835 FD350 TOYOTA FD350 Diesel forklift FD series. Spare parts catalog. Service (workshop) Manual. 6351836 2FD370 TOYOTA 2FD370 Diesel forklift FD series. Spare parts catalog. Service (workshop) Manual. 6351837 FD370 TOYOTA FD370 Diesel forklift FD series. Spare parts catalog. Service (workshop) Manual. 6351838 FD400 TOYOTA FD400 Diesel forklift FD series. Spare parts catalog. Service (workshop) Manual. 6351839 2FD430 TOYOTA 2FD430 Diesel forklift FD series. Spare parts catalog. Service (workshop) Manual. 6351841 FDA100 TOYOTA FDA100 Diesel forklift FDA series. Spare parts catalog. Service (workshop) Manual. 6351842 3FDA115 TOYOTA 3FDA115 Diesel forklift FDA series. Spare parts catalog. Service (workshop) Manual. 6351843 FDA150 TOYOTA FDA150 Diesel forklift FDA series. Spare parts catalog. Service (workshop) Manual. 6351845 FDJ110 TOYOTA FDJ110 Diesel forklift FDJ series. Spare parts catalog. Service (workshop) Manual. 6351846 FDJ200 TOYOTA FDJ200 Diesel forklift FDJ series. Spare parts catalog. Service (workshop) Manual. 6351847 FDJ280 TOYOTA FDJ280 Diesel forklift FDJ series. Spare parts catalog. Service (workshop) Manual. 6351849 4FDK150 TOYOTA 4FDK150 Diesel forklift FDK series. Spare parts catalog. Service (workshop) Manual. 6351850 50-4FDK150 TOYOTA 50-4FDK150 Diesel forklift FDK series. Spare parts catalog. Service (workshop) Manual. 6351852 3FDE160 TOYOTA 3FDE160 Diesel forklift FDE series. Spare parts catalog. Service (workshop) Manual. 6351853 3FDE200 TOYOTA 3FDE200 Diesel forklift FDE series. Spare parts catalog. Service (workshop) Manual. 6351854 2FDE230 TOYOTA 2FDE230 Diesel forklift FDE series. Spare parts catalog. Service (workshop) Manual. 6351855 3FDE230 TOYOTA 3FDE230 Diesel forklift FDE series. Spare parts catalog. Service (workshop) Manual. 6351857 2FDH180 TOYOTA 2FDH180 Diesel forklift FDH series. Spare parts catalog. Service (workshop) Manual. 6351858 3FDH180 TOYOTA 3FDH180 Diesel forklift FDH series. Spare parts catalog. Service (workshop) Manual. 6351859 4FDH180 TOYOTA 4FDH180 Diesel forklift FDH series. Spare parts catalog. Service (workshop) Manual. 6351860 2FDH200 TOYOTA 2FDH200 Diesel forklift FDH series. Spare parts catalog. Service (workshop) Manual. 6351861 3FDH200 TOYOTA 3FDH200 Diesel forklift FDH series. Spare parts catalog. Service (workshop) Manual. 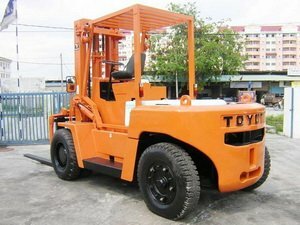 6351862 4FDH200 TOYOTA 4FDH200 Diesel forklift FDH series. Spare parts catalog. Service (workshop) Manual. 6351863 2FDH230 TOYOTA 2FDH230 Diesel forklift FDH series. Spare parts catalog. Service (workshop) Manual. 6351864 3FDH230 TOYOTA 3FDH230 Diesel forklift FDH series. Spare parts catalog. Service (workshop) Manual. 6351865 4FDH230 TOYOTA 4FDH230 Diesel forklift FDH series. Spare parts catalog. Service (workshop) Manual.